At Universal Yoga and Massage Center, it is our mission to provide you with the best service in the industry. 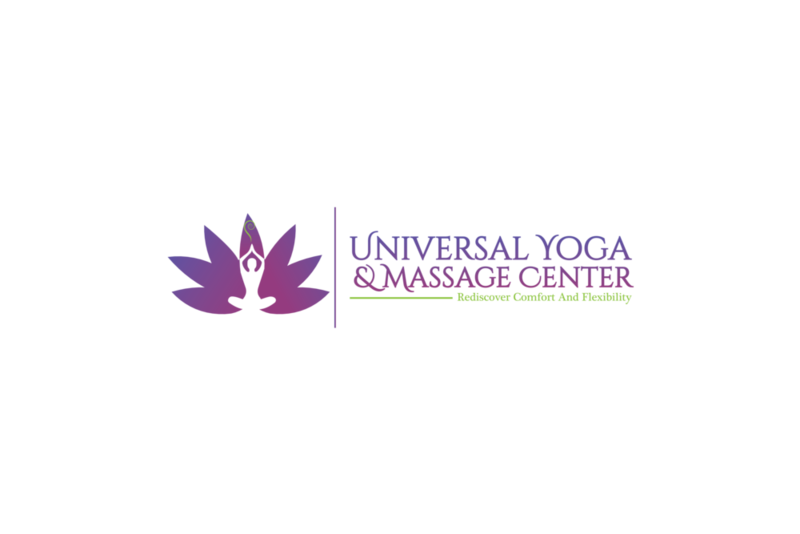 Whether you are recovering from an injury, dealing with chronic pain, or struggling with stress there is something for you at Universal Yoga and Massage Center. We provide a range of services to meet the needs of each individual client. We specialize in pain relief and pain management in the New Hartford, NY area and we can help you! Carpal tunnel syndrome •Sciatica•Piriformis syndrome•Rotator cuff injuries• Pain associated with bulged or injured spinal disc (medical massage cannot fix the disc, but can help alleviate much of the pain associated with the injury.) •Migraines or headaches•Pain associated with pregnancy•Constipation•Range of motion issues •Fibromyalgia•Back and neck pain•Plantar fasciitis (involving pain in the foot)•Repetitive use injuries such as those listed and tennis elbow, golfer's elbow•TMJ•Pain associated with restricted fashion•Pain associated with postural imbalances•Muscle cramps•Restless legs syndrome•Sports or exercise injuries•Work injuries•Edema (swelling)•Injuries sustained in traumas such as falls or automobile accidents•Thoracic outlet syndrome (numbness/tingling in the hands/arms)•Stress•Anxiety•insomnia•Depression• And more! Medical Massage is an outcome based massage that targets specific dysfunctions within the soft tissues of the body. It is designed for those looking to relieve pain, rehabilitate an injury, or heal muscular tissue. The focus of this treatment is to return the body back to an optimal state of functioning. Many patients find after they have had Medical Massage for either chronic pain or a soft tissue injury that lifelong massage is great for their health. Medical Massage also offers traditional therapeutic benefits such as stress and anxiety relief, better sleep, and increased range of motion. Hot Stone Massage is a specialty massage that includes the use of heated, smooth stones to compliment the therapeutic work done during a massage. The stones act as an extension of the therapist's hands and allow for heat to deeply penetrate the muscles, relieving tension and soreness. Hot Stone Massage not only delivers physical benefits, but is also profoundly stress-relieiving, uplifting, and can help combat symptoms of anxiety and depression. Deep Tissue Massage uses firm pressure and a variety of techniques to reach deeper layers of the muscle, fascia, and connective tissue. It is beneficial to those with chronic injuries or muscular tension, or for those who prefer firmer pressure. It is always recommended to communicate with your therapist to reach your desired level of pressure. Swedish Massage is a blend of techniques used to calm the mind, relieve sore or tired muscles, and invigorate the body. Light to medium pressure is used to increase circulation, eliminate toxins, and ease tension. This massage is perfect for those suffering from stress or anxiety, chronic muscle pain or stiffness, or those simply looking to relax. Our homemade sugar scrub is infused with therapeutic Lavender essential oil, real rose petals, and nourishing body butter and oil. It will leave your skin revitalized, hydrated and smooth. The scrub will be removed with aromatic hot towels and the treatment will end with a light massage. Scrubs are recommended for dull, dry or uneven skin tones and are excellent for anti-aging. When skin is properly exfoliated it improves the overall health of the skin and the effectiveness of moisturization. This leaves the skin feeling soft, smooth and healthy. Scrubs are also excellent for improving circulation and encouraging holistic cleansing of the body. Our Chakra Balancing Massage incorporates balancing the 7 major chakras within a massage session, bringing special attention to the energy chakras. This treatment will help release excessive, uncomfortable energy and fill each chakra with pure, calming life energy that then will naturally circulate throughout your body, mind, and spirit. Overall, balancing your chakras will allow the release of built-up tension and can assist in managing everyday stress. Our Chakra Balancing Massage focuses on your body and mind as an energy system made of interacting components. Each system of our body uses life energy to accomplish an interrelated purpose. Cupping is an ancient healing technique that dates back to 1550 B.C. but has progressed to find its way in the modern world. It is especially prevalent in Traditional Chinese Medicine (TCM), a complementary health approach that uses herbal medicine, acupuncture, massage, exercise, and diet to prevent health problems. It has been around for nearly 4,000 years, an obvious testament to its efficacy in the treatment of various conditions. Massage cupping works by creating suction on the body's surfaces and moving over the skin. Various techniques can be used such as gliding, shaking, popping, rotating, or simply parking the cups for a short time over a specific area. The amount of suction can easily be adjusted by the therapist to provide deeper or lighter pressure. Cupping is a great addition to a normal treatment especially for those suffering from chronic pain, poor circulation, or inflammation. During pregnancy, a woman's body undergoes tremendous changes, some of which can result in a number of uncomfortable conditions. Pregnancy Massage is a type of massage that includes modifications of techniques and body positions to meet the needs of a client as they undergo changes during pregnancy and the postpartum period. Massage therapy is supported by scientific research to reduce anxiety, improve mood, promote sleep, decrease back and leg pain, and decrease depression in pregnant women. The American Pregnancy Association (2017a) supports the use of prenatal massage. It is helpful for the swelling of hands and feet, headaches, muscle cramps, insomnia, low back pain, sciatic pain, sinus congestion, and more. Migraine Miracle® is a natural, safe, holistic and uniquely instinctual method for relieving the symptoms of migraine headaches. The Migraine Miracle® healing method incorporates cold stone therapy, proprietary essential oil blends and pressure point massage. This method provides a renewed sense of balance and harmony along with dramatic relief from migraine headaches without the use of prescription drugs. This treatment starts with an invigorating peppermint salt scrub to remove dead skin from the feet, leaving them nourished and smooth. Then we will apply a 100% Natural Calcium Betonite Clay mask to the bottoms of the feet to draw out toxins and impurities from the body while the legs are massaged to improve circulation and bring life back to your tired feet! To end the treatment, we will perform foot reflexology to cleanse the body, boost the immune system, increase circulation, and promote healing and energy balance throughout the body. Reflexology takes specific reflex points of the foot to induce a healing response in the corresponding organs. Manipulating these pressure points stimulates blood, energy and nutrients to flow through the body's natural channels to clear blocked energy, thus relieving pain or discomfort in the associated area. It is an ancient healing technique that has been around for thousands of years and it feels great! This treatment lasts 30-minutes and can be added on to any existing service! Aromatherapy Massage incorporates the use of therapeutic essential oils in a normal session. These oils can reduce stress and anxiety, relieve depression, increase energy, improve mood, decrease pain, and enhance sleep. It will add peace and tranquility to your massage while relieving chronic pain and discomfort of the muscles. At Universal Yoga and Massage Center we want to provide the therapeutic benefits of massage to everyone. We are now accepting insurance! Please call before booking this service. In order for us to accept your insurance, you will need a prescription for Massage Therapy from your Doctor as well as authorization from your insurance company.